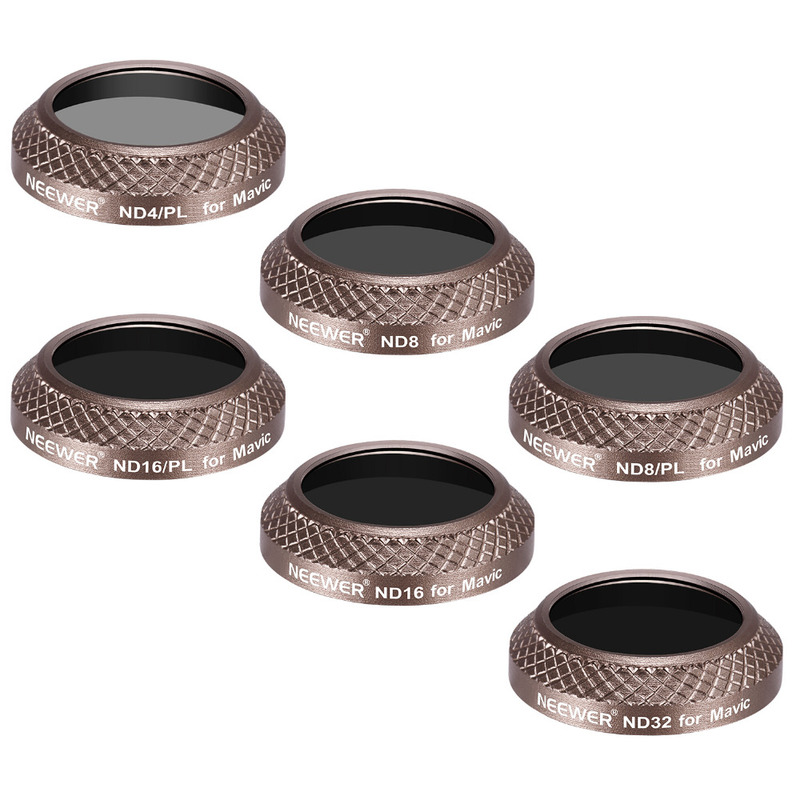 Includes ND4/PL, ND8/PL, ND16/PL, ND8, ND16 and ND32 Filters. Specifically designed for DJI Mavic Pro. Specifically designed for DJI Mavic Pro. Ultra-Light design (0.05 ounce / 1.42 grams) for smooth gimbal operation can avoid causing the gimbal to overload. Made of HD optical glass, which can increase light transmission without dark corners. 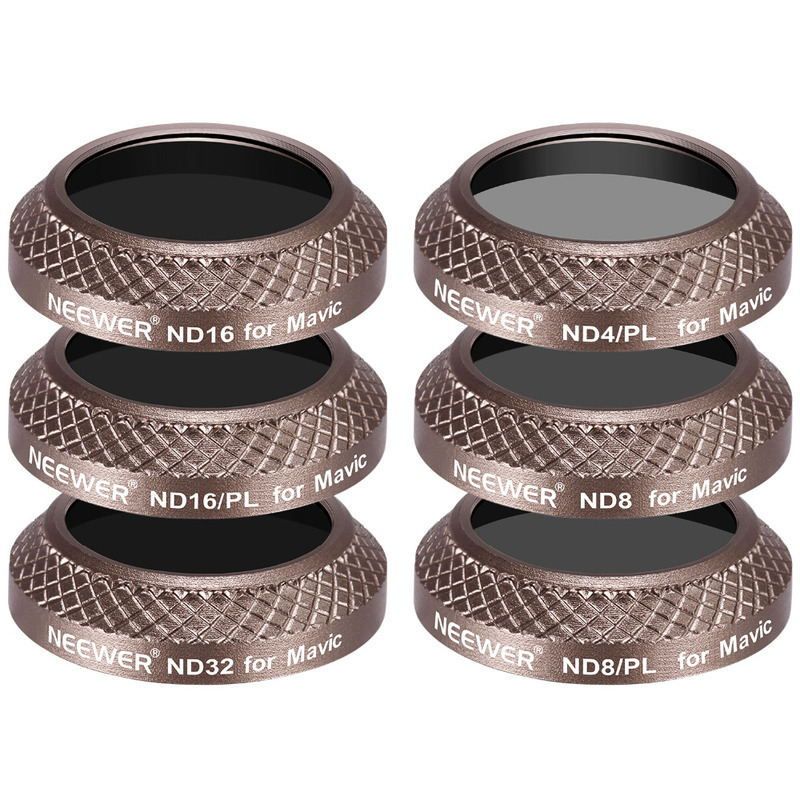 Aluminum alloy frame sealing ring makes it have better tightness which can avoid falling or loosing. It is ideal for shooting in very bright conditions, capturing professional quality images and videos. 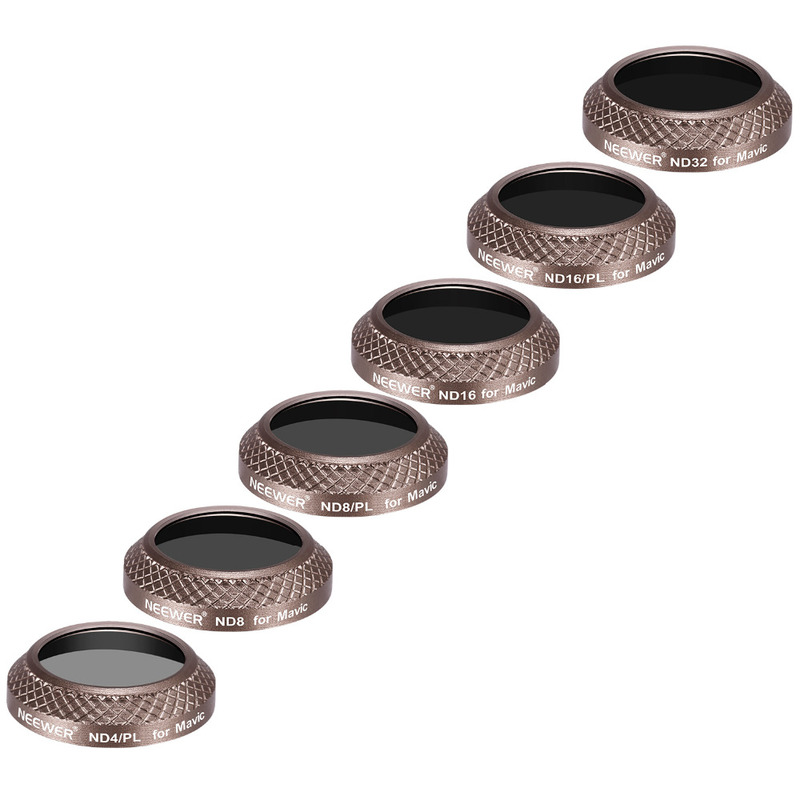 ND/PL filters are great for removing unwanted reflections from non-metallic surfaces and increase contrast and color saturation. 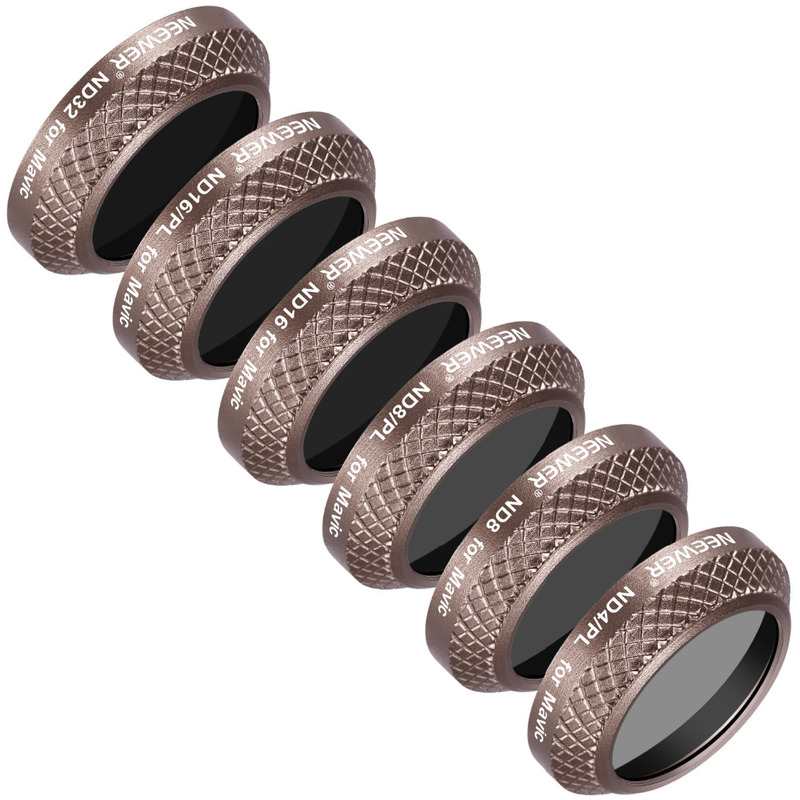 They are rotatable, which can allow you to properly orient the filter based on ambient light and allow you to properly orient the filter based on ambient light. 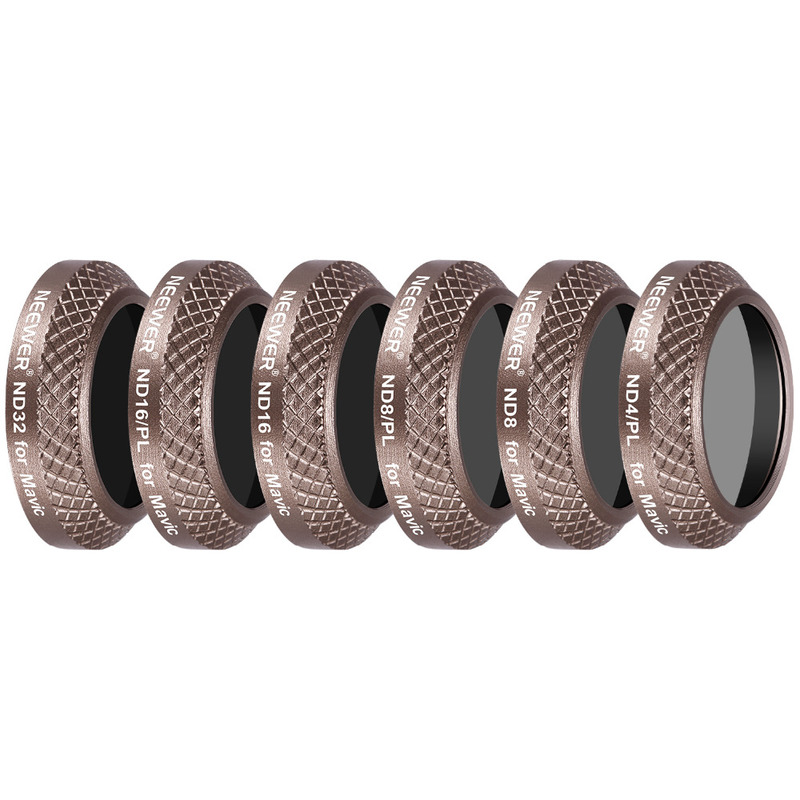 ND lens filters reduce the amount of light reaching the film without affecting the color (ND8 reduces the exposure by 3-stops; ND16 reduces the exposure by 4-stops; ND32 reduces the exposure by 5-stops). 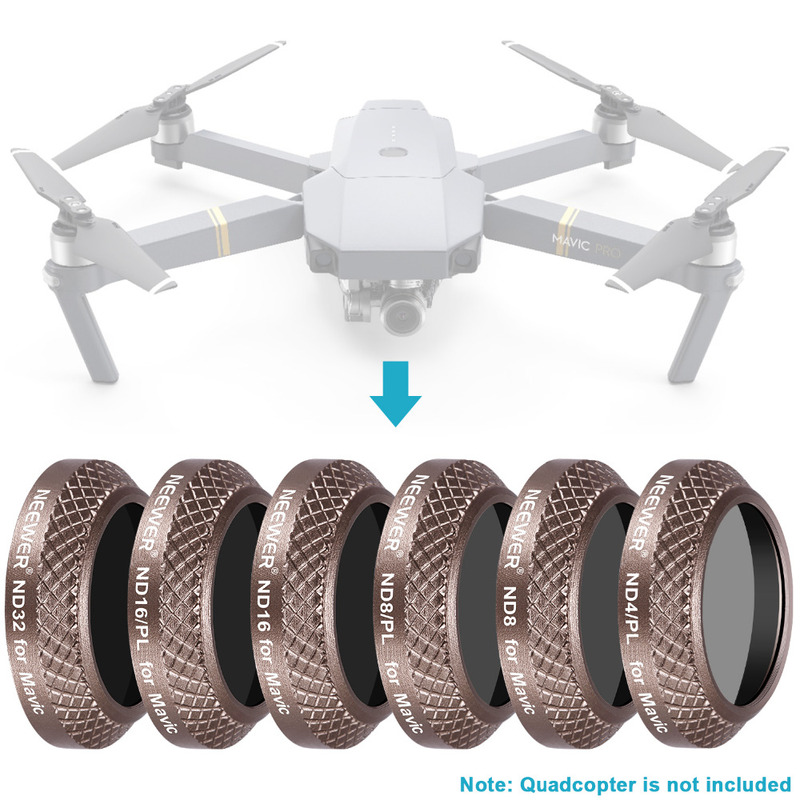 They allow you to have more control of the quadcopter’s aperture, exposure time and sensor sensitivity settings and produce a shallower depth of field, or achieve a sharper photo.